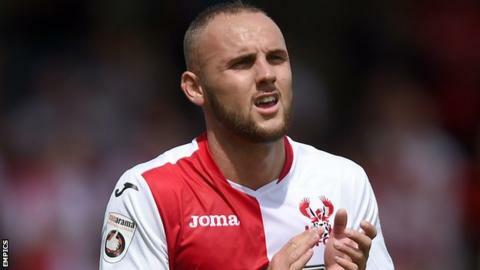 Tranmere Rovers have signed midfielder Adam Dawson from National League rivals Kidderminster on a three-month loan. Dawson joined Kidderminster in August following his release by Premier League side Leicester City in June. The 22-year-old former Liverpool trainee has made eight appearances for Harriers this season, scoring one goal. "There are things that I need to get straightened out and it has been difficult being quite a way away from home," he told Kidderminster's website. "Tranmere is a fantastic club and is about half an hour from my house so this really suits what I need right now. "I am really looking forward to getting started but it's a shame to be leaving Kiddy at the moment, especially with the situation the team is in."